Former Police Chief Alex Fagan Funeral in S.F. Fun-loving rascal, big-game hunter, doting father – and, most of all, a cop’s cop. About 1,000 police officers and other mourners gathered Friday at San Francisco’s St. Mary’s Cathedral to remember former Police Chief Alex Fagan as all those things. But one characteristic seemed to shine above others. Fagan, 60, died of a heart attack Nov. 8 after walking his dog in London, where he was living with his longtime girlfriend, Shannon Hodges. That he died in the best shape of his life, enjoying retirement after a policing career of more than 30 years, filled his friends and family with sadness. “My dad lived every minute of his life as if it was his last,” said his son, Alex Fagan Jr., a former San Francisco police officer who served as pallbearer in his current Army Ranger uniform. “He’s always been, and always will be, my hero. “It seems so surreal that he would leave us so soon.”The son was at the center of a 2002 street fight that ballooned into a criminal investigation into whether his father and other police commanders had conspired to cover up wrongdoing. The younger Fagan was acquitted of assault and the elder Fagan was briefly indicted, promptly cleared, and went on to become chief. The whole affair never came up Friday. Instead, friends recalled how, from the time he joined the Police Department as an officer in 1973 until the day he retired in 2004, Fagan took delight in engaging with the community. 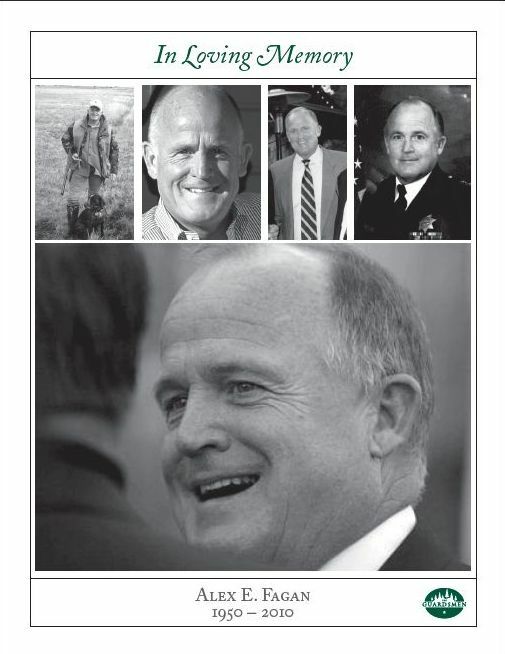 He was active in a host of organizations including the Guardsmen, which helps underprivileged youth, and the Bohemian Club, and while chief from 2003 to 2004 he would often bounce among a half-dozen events in one evening to hear citizens’ concerns. 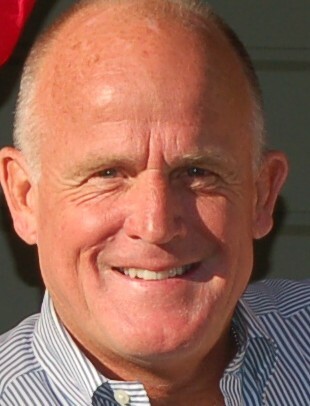 Fagan also earned more than 100 commendations in his career, including three silver stars, for actions that included swimming into the bay in 1979 to rescue a suicidal woman. His love of hunting everything from ducks to antelope permeated campfire stories again and again from the podium, where his daughter, Anne Fagan, read a passage from “Use Enough Gun,” a book on big-game hunting. “My dad loved the thrill of the hunt, the thrill of travel, the thrill of safari,” she said. Having just celebrated his 60th birthday on November 2, Alex had only recently and enthusiastically, as was his style, moved to London with his significant partner Shannon Hodges for a 4-year adventure. To Shannon and Alex’s beloved son Alex, Jr., adored daughter Annie, and to the many of you who knew Alex, I extend on behalf of The Guardsmen sincere condolences for your loss. Alex was a great man and an outstanding Guardsman. Authentic to the core, he was a gentleman of the highest caliber and a true and sensitive friend to many. Alex filled any room with his larger than life dynamic presence, and packed more adventure, drama, charisma, laughter and love into his 60 years than many of us could imagine possible. He was a connoisseur of life and all that it had to offer, and he shared his passion and enthusiasm with the world. 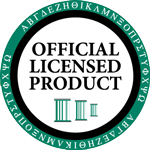 Sponsored into The Guardsmen as an inspector with the S.F.P.D. in 1983 by Leo Murphy, Jr., Jamie Sutton and John Coleman, Jr., Alex joined The Guardsmen Waiting List in November 1984 and became a Regular Member in 1985. Alex served on more than 20 Guardsmen Committees, many of which he created himself and in so doing, he raised over $20,000 for the kids. He was elected to our Board of Directors in 1988, and served as First Vice President under Stephen Leveroni. Alex was inducted into The Guardsmen Hall of Fame in 1998. On behalf of The Guardsmen I extend enormous appreciation for all of the time, energy and efforts that Alex bestowed throughout his life, his work and through The Guardsmen for the betterment of his beloved San Francisco. I hope that you will relive your experiences with Alex by sharing with each other your wonderful “Alex stories”, and in so doing, keep his memory alive. As is our custom, contributions made to The Guardsmen in memory of Alex shall be directed to The Guardsmen Endowment Fund to further the Guardsmen’s commitment to Bay Area children in perpetuity. 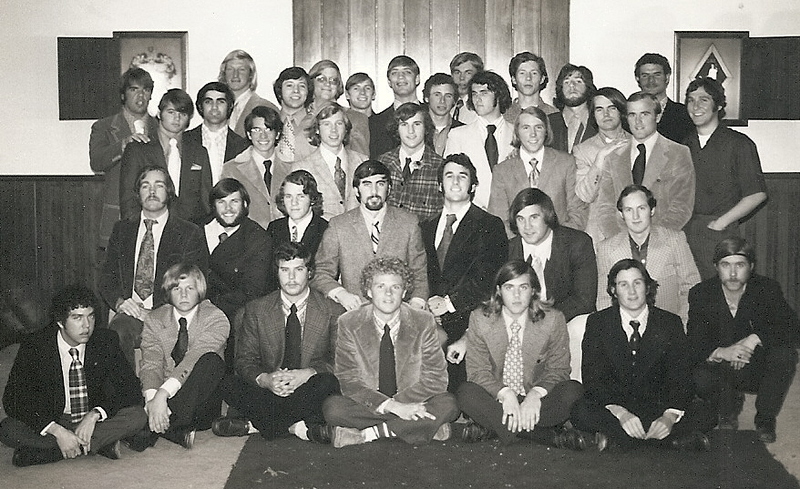 The SAE Cal Beta House in the fall of 1972. Alex is standing in the third row, second from the right. The chief of police was waiting for me in a food joint near the Hall of Justice, the kind that’s all linoleum and neon with dishes that look like hash and taste like sirloin. It was 2003. We shook hands. “I’m not sure about this,” he said with a tight smile. I could see his jutting jaw muscles working. Alex Fagan and I had a history. In the early ’80s, he was part of a particularly colorful group of San Francisco narcotics officers. They were young, wild, aggressive and coldly effective, a fraternity of cowboys (and one cowgirl) who ran nighttime in the city. The force was more monochromatic in those days, fewer rules. Justice had a hard edge, which could be appalling or appealing. As a young reporter, I rode with them many times – though never with Alex. They let me in, pretty much, even though I was also reporting hard on another cop caught up in a federal grand jury investigation. Alex and I reminisced briefly about those days over lunch, looking for a handhold of shared experience. But we quickly got to the critical stories I’d overseen as Chronicle editor about the department while he’d been its chief and deputy chief. He was the city’s top law enforcement watchdog, and we were there to watch him and other powerful authorities, I told him over our burgers. We’re both imperfect, but that’s how it works. I’d had hard meetings with four of his predecessors. “Yeah, I get it,” he said. And he did. He just didn’t like it so much. A couple of times I saw a red flush start to rise from his chest to his neck and up his chin, then recede. Then, almost without intending to, we started talking about our sons. Mine was 3 at the time. His was grown, a former policeman who’d had his own share of challenges. But I could see on Alex’s face the lines of concern and care over his son’s path, past and future. What heartbreak or pride lay ahead for someone so much a part of him? I listened closely as he talked. I would see those same lines in the mirror as my own family grew to two sons. We were not perfect role models, either of us, but we wanted the best for our boys. What I heard was not the two-dimensional, old-boy cop but a man who, deep down, loved his son with all that ferociousness and will that ultimately served him as a policeman and chief, traveling equally among swells and crooks, politicos and patrolmen. In an incident in Arizona a few years back, where tempers flared, Alex kept saying, “I just want to help my son. I just want to help my son.” What dad wouldn’t, whatever the circumstances? Ultimately, he must have. Alex Jr. marched in his Army Ranger uniform alongside his father’s casket 10 days ago, extracted from Afghanistan and Iraq, where he has been wounded and has served with distinction, on compassionate leave to attend his dad’s funeral. “He’s always been, and will always be, my hero,” the son said of his father at the service. Our children are our ultimate redemption for all of us. At the end, I’m sure Alex Fagan knew that and was uplifted by it. 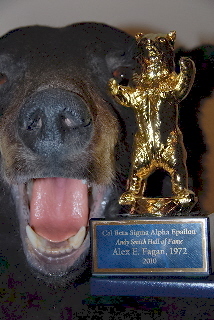 A photo of Alex Fagan’s Cal Beta SAE Andy Smith Hall of Fame trophy.